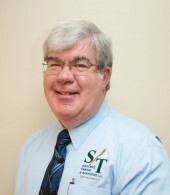 The STA staff is under the management and direction of Stephen C. Stanfield, CEBS, EA who is principal and owner of STA. Mr. Stanfield has over 35 years of financial and tax experience and has spoken widely on non-profit issues. Mr. Stanfield graduated from ETSU in 1978 and has post-graduate studies with the Wharton School of the University of Pennsylvania. He has served as an adjunct instructor at ETSU and NESTCC. He was a founding partner of Stanfield, Thomas & Associates in 1988. He has served on various non-profit boards and has served as Treasurer of a local United Way and Credit Union. Mr. Stanfield is certified to practice before the Internal Revenue Service as an Enrolled Agent. Crystal works with a specific emphasis on serving STA taxation clients. She also provides general financial services to our current clients. Crystal grew up in small business, has 20 years of accounting experience, and has a Bachelor’s degree in Accounting from East Tennessee State University. She is a certified QuickBooks Pro Advisor and is also an Enrolled Agent with the IRS. 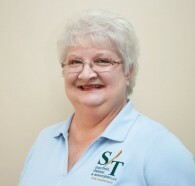 Judy has several years experience working with STA as a Customer Service Representative. Although she works primarily during the busy tax season, she often assists the staff throughout the year. 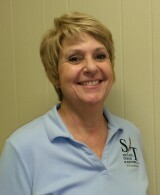 Her smiling face will be greeting you when you enter our office as she monitors schedules and serves our tax clients. Roxanne has over 21 years of various accounting experience. She most recently served as Payroll Manager for a non-profit college and previously worked as Office & Credit Manager for a large food distribution warehouse. 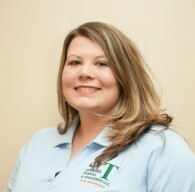 Roxanne attended East Tennessee State University where she majored in Business. Roxanne is also a QuickBooks Pro Advisor as well. Wrenda has over 11 years of accounting experience. She has a Bachelor’s Degree in Accounting with a minor in Business. 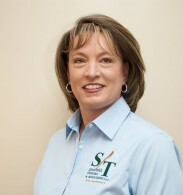 She serves our clients in tax preparation, general accounting services, and payroll. Having previously worked with non-profit entities, Wrenda has a specific emphasis on serving our not-for-profit clients. Kathy, originally from Maine, has a wide variety of experience in several types of businesses including business startups, bookkeeping, and contractor’s board service. Kathy worked with us in a temporary position on several projects and we were happy to welcome her to the STA family last year as an associate. 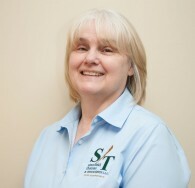 Sherry is originally from Bristol and has been with STA for 5 years. Before moving from Gray, she was the Office Manager of a multiple service accounting firm with special emphasis on construction. 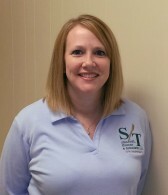 She has 14 years of experience including bookkeeping, payroll, property management, and general accounting services. Sherry is also a Certified Advanced Quickbooks Pro Advisor.